President Trump tweeted last evening that he was having dinner with Apple CEO Tim Cook at the president's club in Bedminster, N.J., and praised Cook for "investing big dollars in U.S.A."
We hear that Cook planned to talk about trade/tariffs ... worker training announced earlier at White House ... coding education ... immigration. P.S. "Trump, who is loath to admit to sleeping — let alone taking time off — has spent his [supposed vacation] week away mixing downtime and golf rounds with meetings and dinners, intent on projecting the image that he's been hard at work," AP's Jill Colvin and Jonathan Lemire report. 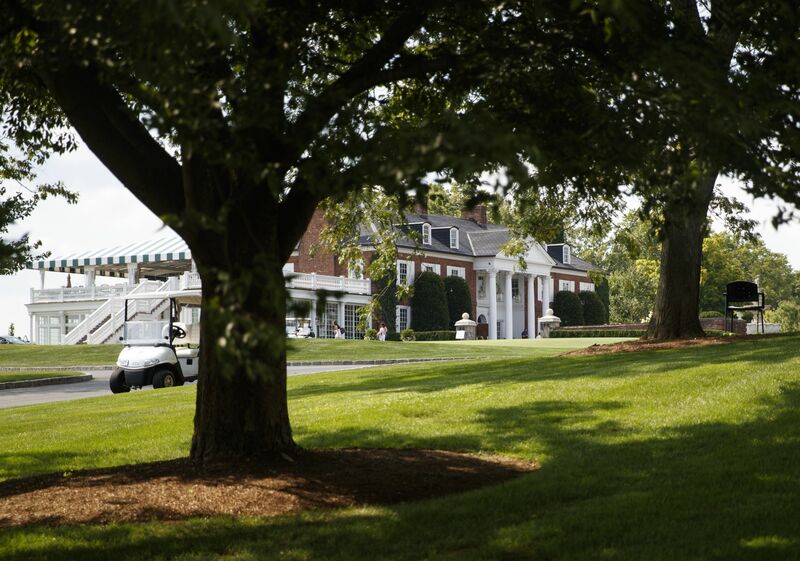 "[H]e's surrounded by a clutch of unofficial Bedminster advisers, who have unusual levels of access to a president with the propensity for mixing business with leisure." "Does he actually play golf at Bedminster or at his better-known Mar-a-Lago estate in Florida? Yes, but it's hard to say how much. The White House won't say, and reporters are barred from getting close enough to see." 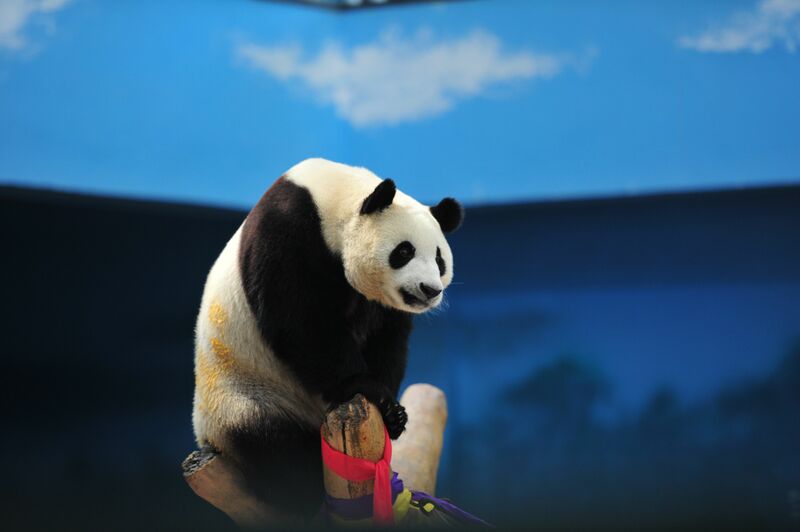 From a pool report by L.A. Times' Eli Stokols: "POTUS has one event on his schedule today, a photo op with bikers at his Bedminster estate at 2:30 p.m."
Amid a hot spell, giant panda Pu Pu sits on wood at the Shenyang Forest Wild Zoo in Shenyang, the capital of Liaoning Province, China. The giant pandas Pu Pu and Fa Fa are celebrate their fourth birthday with a double-layered ice cake made with purple cabbage juice. What's new: "Democrats have all but acknowledged that they are unable to stop the Senate from confirming ... Brett M. Kavanaugh." How we know: "Moderate Republican senators such as Susan Collins of Maine, the most closely watched GOP swing vote, are sending strong signals that they will back Kavanaugh. 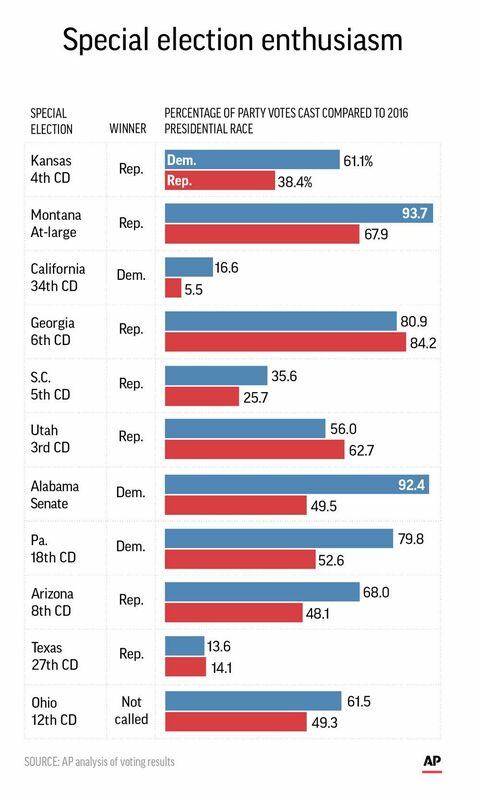 Several Democrats facing difficult reelections this year have indicated they are open to voting for the judge." "[L]eaders of the resistance are already delivering post-mortem assessments and blaming fellow Democrats for a looming failure." 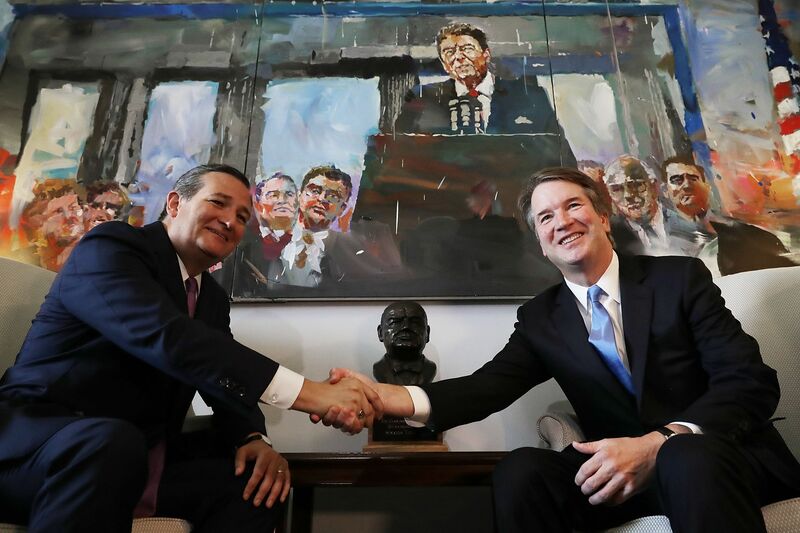 Be smart: "The fizzling of the campaign to block Kavanaugh underscores the relative weakness of the Democrats, who had promised their political base a pitched battle to protect the landmark Roe v. Wade abortion ruling." "They've been crammed into toilets, tossed off balconies and set on fire. They’ve even been adorned with dangling bags of dog droppings." 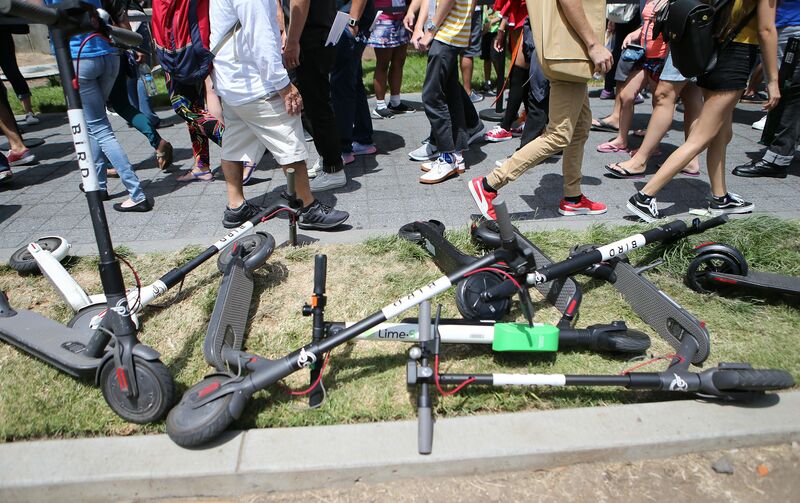 "As cities like Santa Monica and Beverly Hills struggle to control a rapid proliferation of electric pay-per-minute scooters, some residents are taking matters into their own hands and waging a guerrilla war against the devices. The Instagram twist: "These vandals are destroying or desecrating the vehicles in disturbingly imaginative ways, and celebrating their illegal deeds on social media — in full view of authorities and the public. "Children and preteens are more connected to the Internet than ever, which means retailers are looking for new ways to ... sell ... directly to young shoppers on their phones, tablets and laptops." "[C]ompanies are flocking to Snapchat, YouTube Kids and other mobile apps to reach children with personalized messages." The Snapchat factor: "Nearly 1.5 million children age 11 and under have active Snapchat accounts, according to data from eMarketer, which expects continued double-digit growth in coming years. (Snapchat requires that users be at least 13.)" "The social media platform ... has emerged as a holy grail for retailers in search of young consumers. "That is especially true ... during back-to-school seasons, where last year users spent an extra 130 million hours ... to chat with friends and connect with popular brands such as Vans, Hollister and Michael Kors." Also big for reaching tweens: YouTube. P.S. Amazon "allows children as young as 13 to create their own logins." "Parents can either set spending limits or ask to approve all purchases." Thanks for starting your weekend with us. Updates all day on Axios.com.